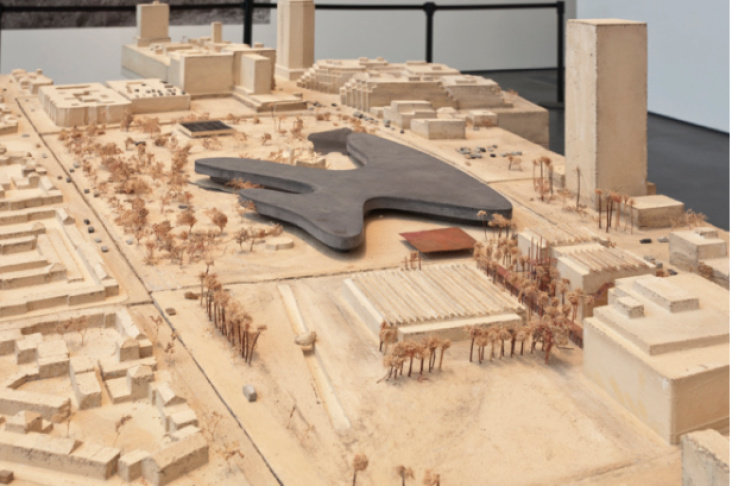 Those are a few of the reactions to LACMA's plan to tear down four of its older buildings, which date to the 1960s, and replace them with this, a broad, disc-like structure designed by Swiss architect Peter Zumthor. The current buildings are old and in need of renovation, according to LACMA director and CEO Michael Govan. So why are people so angry? Let's break it down. 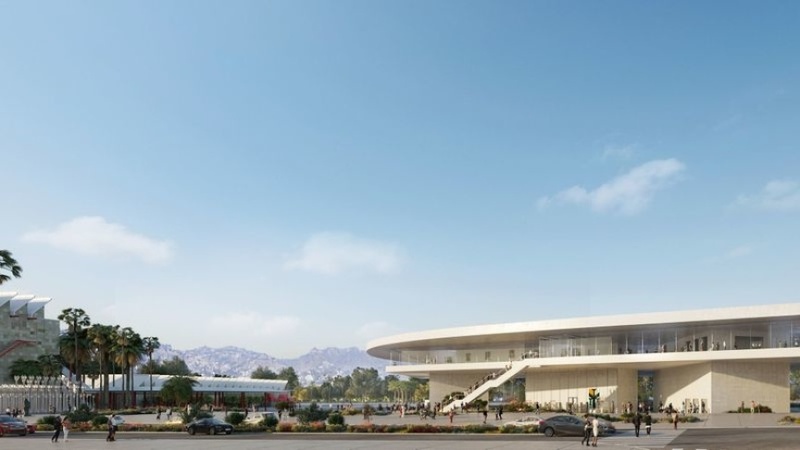 LACMA's proposed new building has been a slow moving train of controversy since it was first announced six years ago. 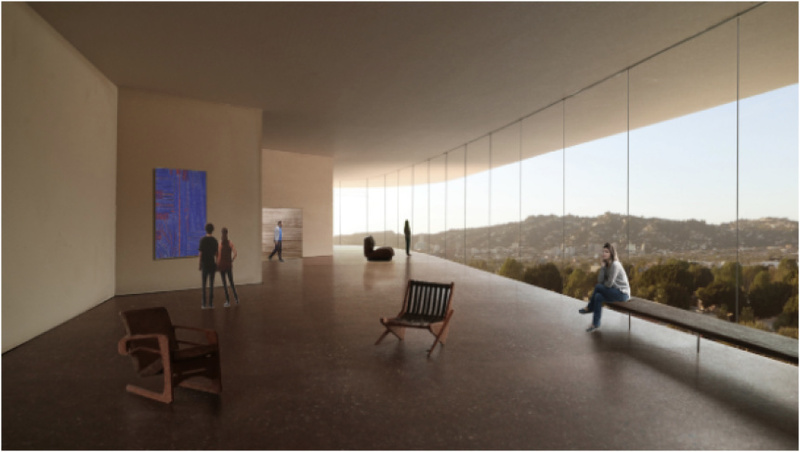 The Los Angeles County Board of Supervisors is slated to vote Tuesday on whether or not to give the museum a humble $117.5 million to move forward with the plan (the total tab for the project is $650 million). The structure would replace four older ones from the 1960s. The museum says they're too outdated and expensive to renovate although the renovation would cost less than building the new structure — about $500 million, according to Govan. Why has it taken so long? To answer that question, we have to travel back to 2013, when LACMA announced the plan and devoted an exhibition to the proposed structure. The original design, which looked like a giant, black amoeba, spanned both sides of Wilshire Blvd. and covered part of the La Brea Tar Pits. Zumthor was the main man behind the design. In 2009, when he won the prestigious Pritzker Prize (the Nobel of the architecture world), the jury told the New York Times that he only accepts a project "if he feels a deep affinity" for it, which makes sense given how long he's stuck with this LACMA plan. 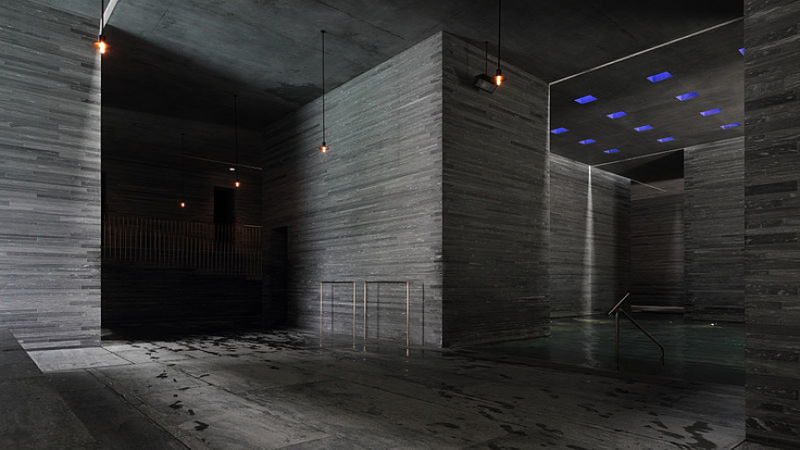 Back then, Zumthor was best known for spending 30 years building a cave-like thermal spa in a Swiss commune, the interior of which looks eerily similar to the plans for the new LACMA building interiors. 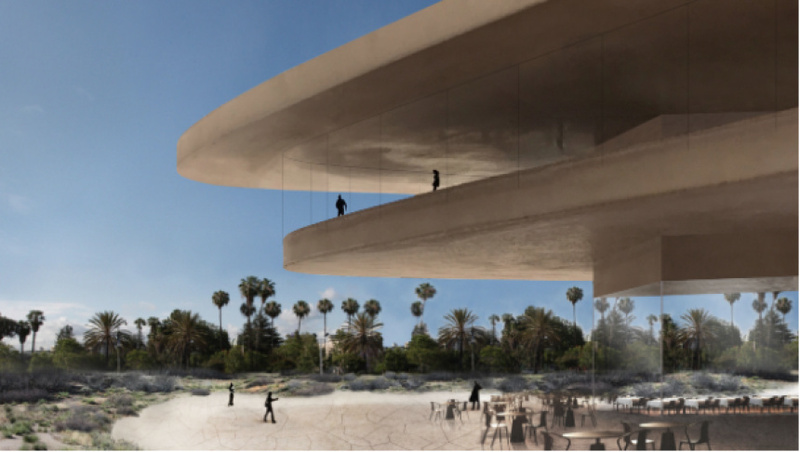 Zumthor described his LACMA design as "an organic shape, like a water lily." He and Govan had been brainstorming the idea since 2006, and they chose the blob based on the institution's proximity to the La Brea Tar Pits. In the original proposal, the building had a back roof covered in solar panels. "The idea is that the building is horizontal and can soak up the California sun," Galvan told KPCC when the plan was released. "It will give back more energy to the city than it uses." While some critics liked the design — Carolina Miranda of the Los Angeles Times compared it to the sleek Cylon Basestars in Battlestar Galactica — others weren't fans of the building's dark-night-of-the-soul shade of black. The structure became known as "the inkblot." The tar pit-inspired plan had another a flaw. Building a roof over an active archaeological site could interfere with the natural ecosystem. 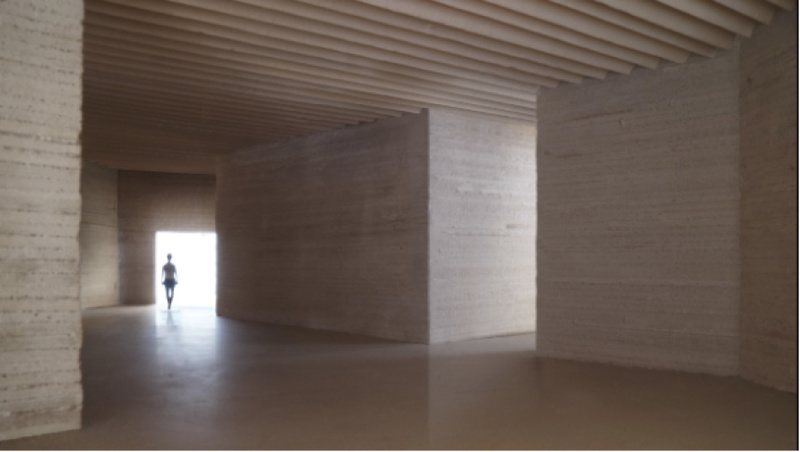 In 2014, Zumthor released a new design. Architectural Record called it "The Blob That Ate Wilshire Boulevard". His 2016 model was criticized for looking like a boomerang. The newest iteration of the design is getting flack for being basic. Critics say it's boring and tan. Miranda now says it, "bears the profile of a small-city airport terminal." 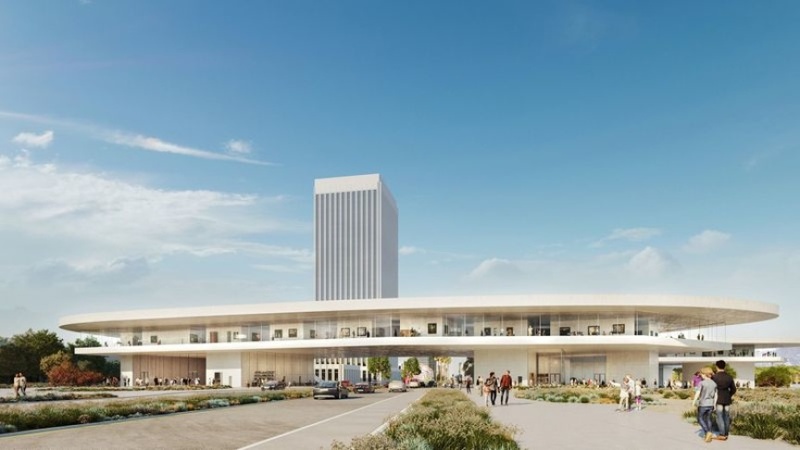 Critics are also unhappy because Zumthor's watered-down design will have less space to showcase LACMA's permanent collection. The new structure is about 40,000 square-feet, or 10%, smaller than the original plan. That means the gallery space has shrunk from 121,000 square feet to 110,000 — roughly the size of one exhibition hall. And people still aren't happy about the shape. Some have compared it to a giant coffee table or a cartoon antler. Like the original design, the building crosses over Wilshire Boulevard. It's also only one story tall, which could make it hard to expand in the future. Due to size limitations, the offices of the museum's curatorial staff will be housed elsewhere. L.A. Times art critic Christopher Knight has been an outspoken critic of the building since the new design was released last week. He called it the Incredible Shrinking Museum in a recent review. "I do not know of another art museum, anywhere, that has ever raised hundreds of millions of dollars to have less gallery space than they started with," he told AirTalk on Monday. L.A. Times readers responded with similar disdain. One reader, in a letter to the newspaper said, "The new structure looks like a motel that you'd find somewhere on Sunset Boulevard in the 1950s or '60s." The Los Angeles Review of Books chimed in with an unfavorable analysis: "If you think disastrous shutdowns occur only in Washington, just drive over to the Los Angeles County Museum of Art." Govan responded to that criticism by saying, "These projects are really complicated," and he compared it to other big cities' museum revamps, claiming LACMA's proposed rebuild isn't outrageous. The Whitney in New York City cost at least $750 million, Govan said. "It's four-to-one private money," Govan said. "The taxpayers' money is a fraction. In fact, the taxpayers are investing far less than half of what it would cost them to repair the visible repairs of the old buildings that the county owns." The new design, he said, is more attractive and exciting to donors, who wouldn't be as enticed to give money to fix the old building. But some taxpayers want more than 25% of a say in the design. "L.A. needs a BIG museum for the future not the vision of a couple of people, no matter how great," said Norma Edwards, in a letter to KPCC. Members of the public will be allowed to deliver short statements at Tuesday's Board of Supervisors meeting. Meanwhile, Knight wrote a new editorial asking supervisors to reject the plan altogether and start from scratch. Even after all the not-so-subtle naysaying from California's most prominent art and architecture critics— even New York Magazine's Jerry Saltz implored the L.A. art world to stop the Board of Supervisors from approving the design—-almost all of the public speakers at the hearing were there to testify in support of the new building during the public comment period. Among them were some recognizable faces. Yes, Brad Pitt and Diane Keaton actually went to a Board of Supervisors meeting. Pitt said he supported the new design, saying it would be a "jewel" of the city. Keaton, who is still rocking the Annie Hall style hat (as well as indoor sunglasses), ended her call for support of the LACMA design with enthusiasm: "I'm so excited! I don't have anything else to say. Yay, L.A!." Among the celebrities, there are a lot of words of support from artists, architects, LACMA employees, and other LACMA institutions. There's really no opposition. But almost everyone is either affiliated with LACMA... or a celebrity. 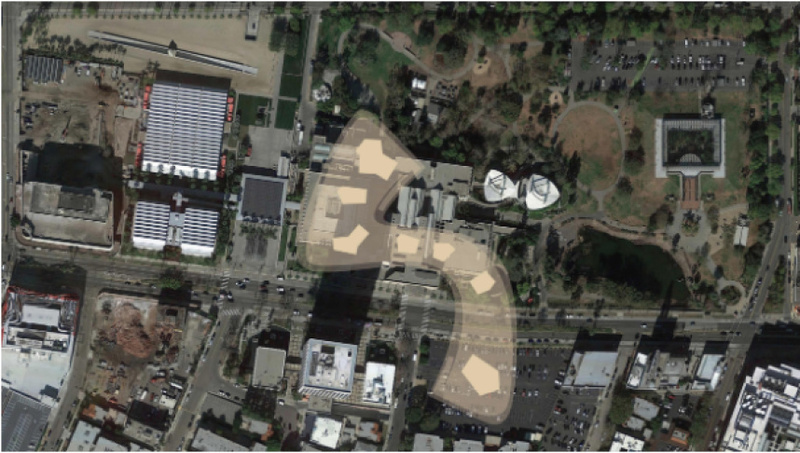 The Supervisors spoke with equal praise of LACMA's proposal. "It's a lot of money that the county is investing, but I am proud that the county has been one of the early partners in this effort," said County Board Chair Janie Hahn. Govan also spoke. "Our staff is very confident that this is the right amount of space," he said, noting that LACMA also sends collections outside of the museum. Other celebrities expressed their support via social media. Ryan Seacrest, who is actually a LACMA board member, took a break from tweeting about "American Idol" to praise the museum's vision. The decision was unanimous— LACMA will receive $117.5 million in county funds to put towards the $650 million project. "The County Museum hosts hundreds of thousands of visitors each year, and this design—transparent, open, and unilevel — will enhance their enjoyment and experience of our culturally diverse art and create a welcoming space for all ages and backgrounds. The design and its ambitions reflect the LA County of today and LA County's cultural leadership in the 21st century." According to LACMA, demolition and construction will begin in late 2019 and finish by end of 2023. Emily Elena Dugdale contributed to this story. 1:25 p.m.: This article was updated with quotes from the Board of Supervisor's meeting as well as their final vote. This story has been edited since publication. The original version of the story misspelled LACMA CEO and director Michael Govan's last name.